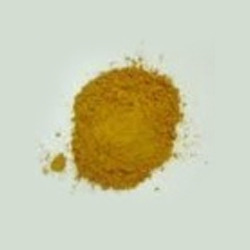 Our range of products include direct yellow dyes. Finding use as Direct Dye in Leather Dyestuffs, Paper Dyestuffs, Textile Dyestuffs, these Direct Yellow Dyes come with purity of 100%and is offered with minimum order of 500 Kilogram. With colors being dull in comparison to those provided by reactive dyes, its main advantage is being a lightfast dye that is resistant to fading in light. Being of sulfonate group which makes its molecules soluble in water, these direct dyes can be offered in both powder and liquid form which makes these also an easy to handle option. Some of the common areas where these are used in include textile industries, for leather and paper products.